Bed bugs are an elusive pest. They have been known to infest a five-star resort just as easily as they can a roadside motel. And they continue to expand into all aspects of human society putting increased pressure on hotels, office buildings, homeowners, movie theaters and more. It’s true, bed bugs don’t discriminate. But don’t lose sleep over them. 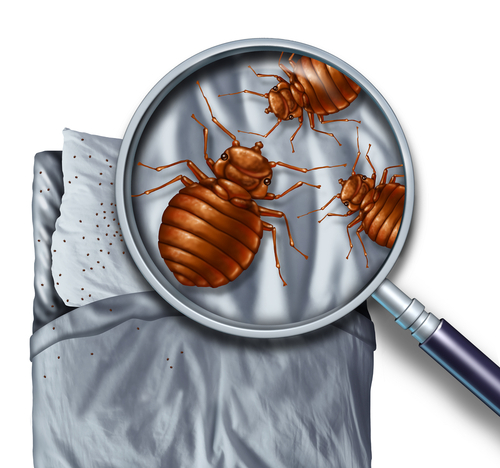 If you step up your vigilance you can uncover bed bugs soon after they are introduced into your home or business, before they transition into a full-fledged infestation that will cost you time, money and lots of frustration. Ratchet up your bed bug vigilance. Become familiar with the common signs of a bed bug infestation. Early detection is key to uncovering an infestation early, before a full-fledged infestation has the chance to establish. Addressing a bed bug incident soon after the pest is introduced into your home or business will keep your costs and your frustration levels down. Prevent bed bugs, don’t react to them. When it comes to bed bugs, prevention is essential. If you or someone in your home travels often for work or leisure; if you have a child that stays away at school and returns home often; you take public transportation; or, live in a multi-unit housing scenario you are likely at high risk of a bed bug infestation. Learn more about ways to prevent bringing home bed bugs when you travel and return from a trip. Re-consider your mattress protection. When bed bugs made a comeback in the early 2000s many people turned to mattress encasements to protect their mattresses and box springs. Times have changed and so has bed bug prevention. Savvy home and business owners are now choosing more advanced mattress protection with active mattress liners such as ActiveGuard Mattress Liners. Active mattress liners protect not only the mattress but those sleeping in the bed as well. Active mattress liners kill bed bugs through contact and do so continuously for two years. Realize the cost savings in preventing bed bugs. Reacting to bed bug infestations can be a costly endeavor. It is not uncommon that an infestation widely expands before it is discovered causing you to treat multiples rooms of the home or business. Consider how much money you can save by taking a few preventive steps when it comes to bed bugs versus spending thousands in treatment costs. The growing frequency of bed bugs is well-documented and expanding daily. It is imprudent to consider the problem will only affect others while sparing you and your home or facility. Therefore, continuous vigilance is necessary to protect yourself from an infestation and high treatment costs. Taking a few essential steps to prevent bed bugs can save you significant time, money and energy. To learn more and begin your prevention program today visit www.allergytechnologies.com.